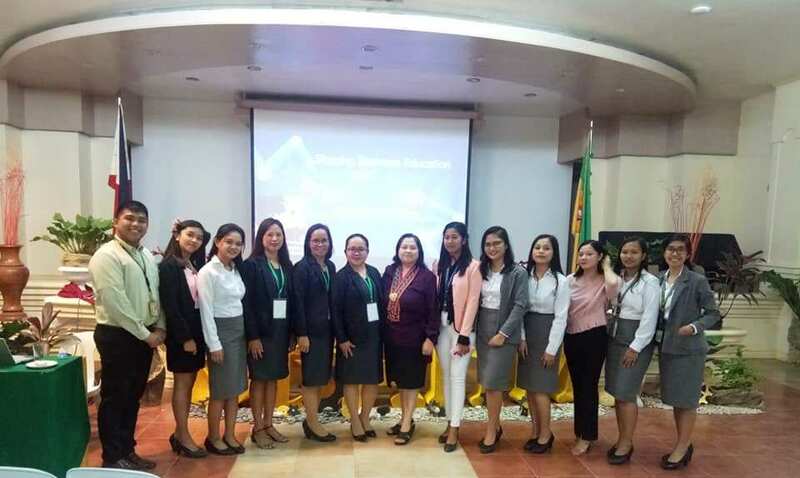 The School of Business, Accountancy and Hospitality Management spearheaded the 19th Regional Business Exposition on March 14-16, 2019 with the theme, “Business and Hospitality in the 4th Industrial Revolution: Changing and Shaping the Future”. This year's expo was participated in by Business, Accountancy, Entrepreneurship, Tourism and Hospitality College and Senior High School Students as well as Administrators and Faculty members of the different Higher Education Institutions in Region 02. The 19th Regional Business Exposition aimed to help the participants be ready for the 4th Industrial Revolution which has been continuously penetrating the global business industry. The event joins in the attainment of the goal of various institutions to produce Industry 4.0-ready workforce for the business, accountancy and hospitality industries. The Business Exposition started with the opening program at the Sacred Heart of Jesus Training Center. Dr. Charito M. Guillermo, CPA, the Dean of the School of Business, Accountancy and Hospitality Management, gave her welcome remarks followed by the statement of purpose by the Co-Chair of the 19th Regional Business Expo, Ms. Elaine Avila, MSHM, MBA. Then, a series of informational videos about the 4th Industrial Revolution was shown and student participants were asked to share their thoughts and insights on the videos they watched. Some of the students have shared their experiences in their respective universities on how they have been utilizing various high-technology devices for the conduct of their programs and how these help and improve their educational quality. The program has ended with a Eucharistic Celebration held at the Our Lady of Chartres Chapel. During the 2nd day of the Business Expo, various technical sessions were held with Resource speakers who are experts in the field of Business Management and Hospitality. The first technical session was led by Dr. Frederico M. Macaranas, the Executive Director of Asian Institute of Management. His presentation was entitled “Internet of Things”. The speaker for the second technical session was Dr. Samuel Garcia, the President of Phil Export Region II. The afternoon of the second day was highlighted by parallel sessions. The speakers were Dr. Giged T. Battung, CPA with her topic “Impact of Industry 4.0 in Business Education” for the Business and Accountancy group. Ms. Raquel Fausto-Verzosa presented in front of the Hospitality and Tourism Management participants about Hospitality Management while Ari Verzosa had his talk on Mental Health Awareness in the midst of the Changing Business Environment brought about by Industry 4.0. On the 3rd day of the Regional Business Exposition, different contested events were held where the students showcased their knowledge, talents and skills. These events included: Business Quiz Bee, HRM/Tourism Quiz Bee, Accounting Quiz Bee, Case Analysis Competition, and Product Presentation. Skills Olympics for the students of the HRTM Program included activities like: Table Napkin Folding, Flair tending, Table Skirting, Cooking competition, Tour Guiding and Package Tour Proposal were also conducted. Participants included students, administrators and professors from different Colleges and Universities in the Region like the University of Cagayan Valley, Maila Rosario College, International School of Asia and the Pacific, Isabela State University Cauayan and Cabagan Campuses, Apayao State College-Conner Campus, Cagayan State University Aparri, Andrews, Gonzaga, and Lallo Campuses, University of St Louis Tuguegarao and St. Paul University Philippines.